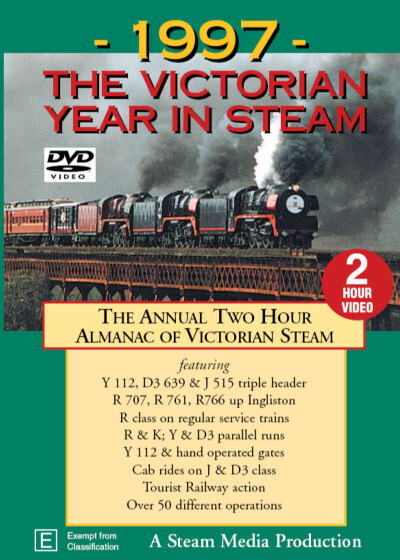 1997: The Victorian Year in Steam Travel back to 1997 and see how much has changed in the passing years. 1997 provided a variety of steam action on both main and tourist lines. Driver training saw R class on regular service passenger trains and leading diesels on 1000 tonne freights on the heavily graded Bendigo line. Parallel running on enthusiast trips, two triple headers and many double headed combinations also provided spectacular sound and vision.